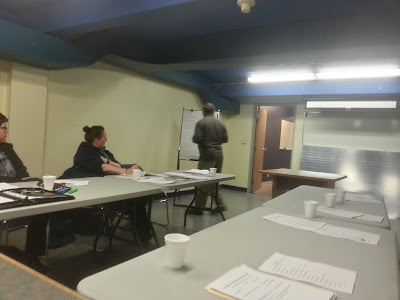 So on Friday we had the first executive election for Community North Advanced Toastmasters Club and I was elected Vice President of Public Relations. Sort of unexpected but overall a positive. I had taken a long time before I decided to join this advanced club. The deciding point for me was the announced club mission of supporting the northern Toastmasters clubs as the primary purpose of this organization. For me there had been a lack of clarity on this - i.e. was this club to develop speech competitors, to deliver outside speeches to the public, to organize/facilitate officer training, etc. I was fortunate enough to immediately have volunteers for my PR committee so will be using a different team-based model to accomplish many of our tasks (rather than a traditional super-VPPR). Thoroughly excited about the new opportunity! Also only two more speeches to complete my ninth educational designation of the year! 5 TM meetings in one week - by end of week I'll be done!! !